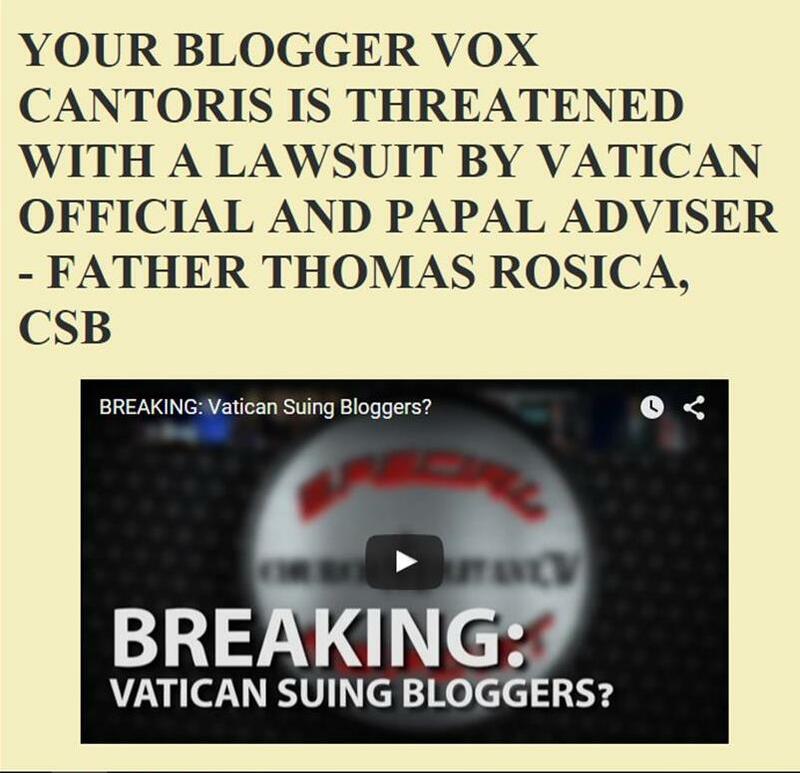 Vox Cantoris: Someone needs a fizzakeyatryst or maybe an exorcist! Someone needs a fizzakeyatryst or maybe an exorcist! “When I came down, he introduced himself, I greeted him with a handshake, and nothing more,” the pope added. “It’s common courtesy, this is called common courtesy. How did Bernie Sanders know to be there when the Pope would come out? Because it was set up the night before! Sanders knew. The conference orgnanisers knew to tell him, but we're expected to believe the Pope didn't know? Sanders says that they had a five-minute discussion, the Pope says it was a handshake. At this point, what difference does it make? He thinks we need a fizzakeyatryst? I hear Father Amorth is still in Rome! "... the apparent Bishop or [of] Rome said ..."
C'mon, it is insane to suggest that merely greeting someone is equivalent to interfering in politics. Ha Vox, Father Amorth is still in Rome! Good to see C Jorge has a couple of options he can be treated with. Perhaps he can start off with a psychiatrist, failing that then indeed Father Amorth will be able to assist him. We shall continue to pray for the man! Perhaps Bergoglio should find himself a primer in Catholicism, give it a good read and then honestly decide what path he should take. Wow. The Pope doesn't seem to make much of an effort to control his crabbiness. He goes for name calling quite a bit. I guess it was just too much for him to simply say, "If anyone thinks that greeting someone is getting involved in politics, well, they are quite mistaken." Or something similar. The Soviets and the Chinese communists love to call dissidents crazy and put them in mental institutions. A psychiatrist is just one degree of separation from the big nasty commie solution.